HAPPY NATIONAL VANILLA MILKSHAKE DAY! June 20th of each year, we celebrate the yummy sweet, cold, creamy concoction of vanilla ice cream and milk. And it is delicious. 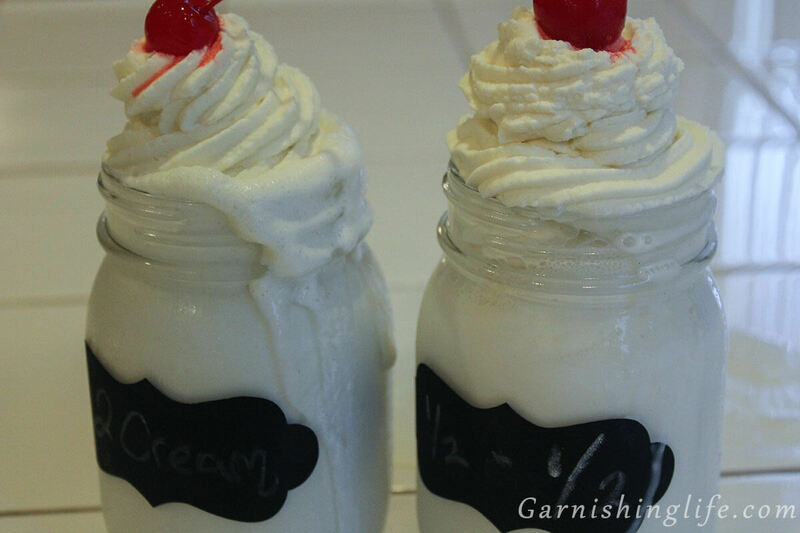 The original milkshake was created in 1885 with cream, eggs and whiskey. This sounds awful. I’m so glad we’ve grown into using ice cream instead. I have a strong aversion to raw eggs. Like most. Can you believe they didn’t even use ice cream in milkshakes until the 1900’s?! Anyways, to celebrate, Mike and I did a little taste test on half & half versus heavy whipping cream. 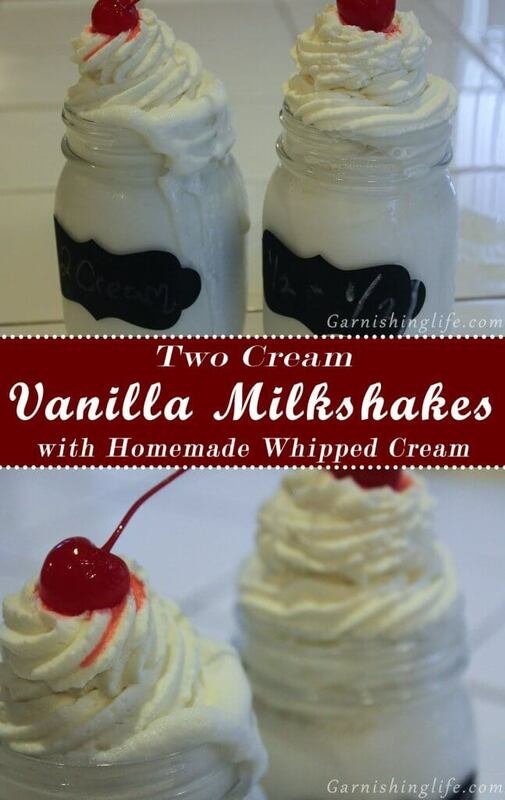 Both were delicious, but the heavy whipping cream won out on the rich factor. I’ve always used half & half in my shakes, but I got the wild idea to use heavy cream mixed with milk and it was perfect. Pure heavy whipping cream would be waaaaay too rich, but the 50/50 mix with milk brings it down just enough. 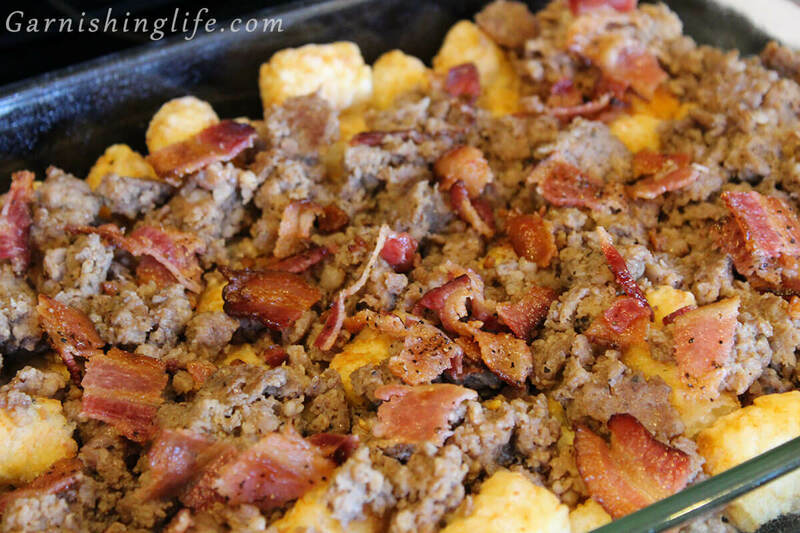 But, if that’s still too much, half & half is still more flavorful than just plain milk. 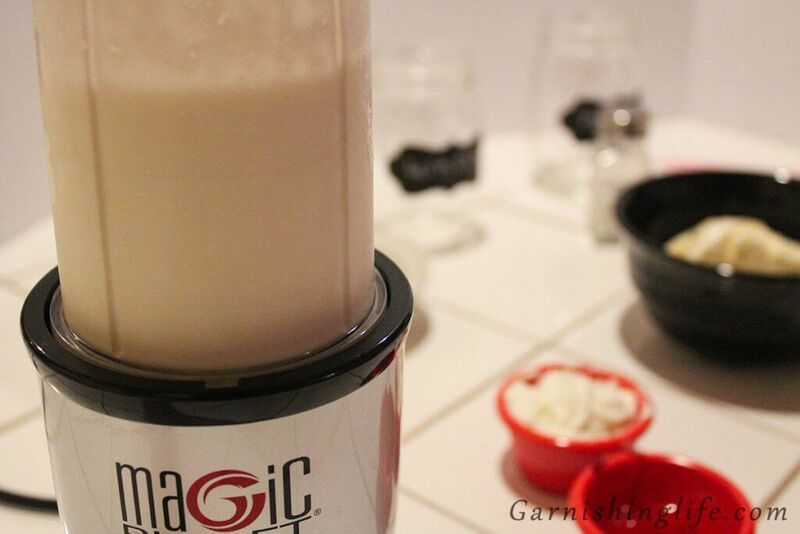 Personally, I love my Magic Bullet. It’s not an affiliate, and I don’t make any money off telling you about it. I genuinely just love it. It’s so much more convenient than a blender. So I like to dump everything into the bullet – sans a blender. Because the bullet is smaller, I have to mix half of my ingredients at a time. 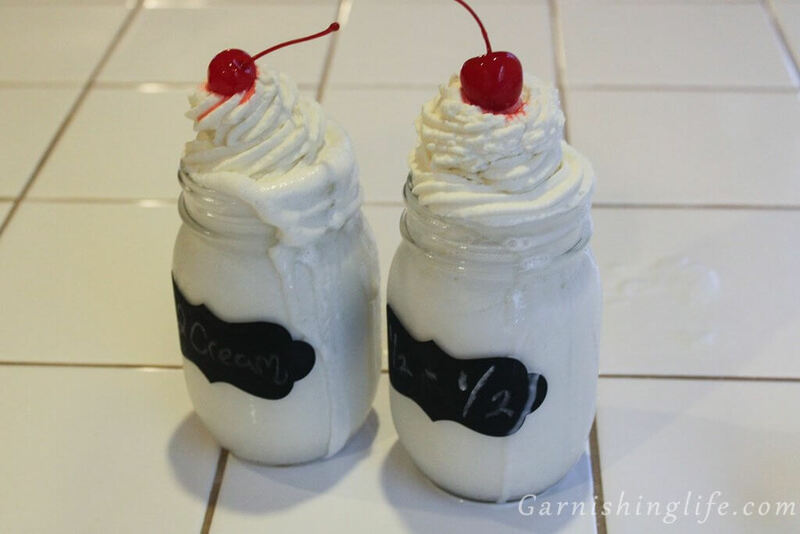 For the Two-Cream version, I like to use a 1-cup measuring cup, and I fill half with milk and half with the whipping cream. Then I gently stir. Then, whatever cream version you picked, gently stir in the vanilla extract and salt. In your blender or bullet cup, scoop your ice cream. Then pour your cream mixture over the top. If you use a blender, you can go all in one go. For the bullet, I pour half the liquid in, then blend, then the rest of the liquid. Just because of the sizing. Top with some delicious Homemade Whipped Cream. 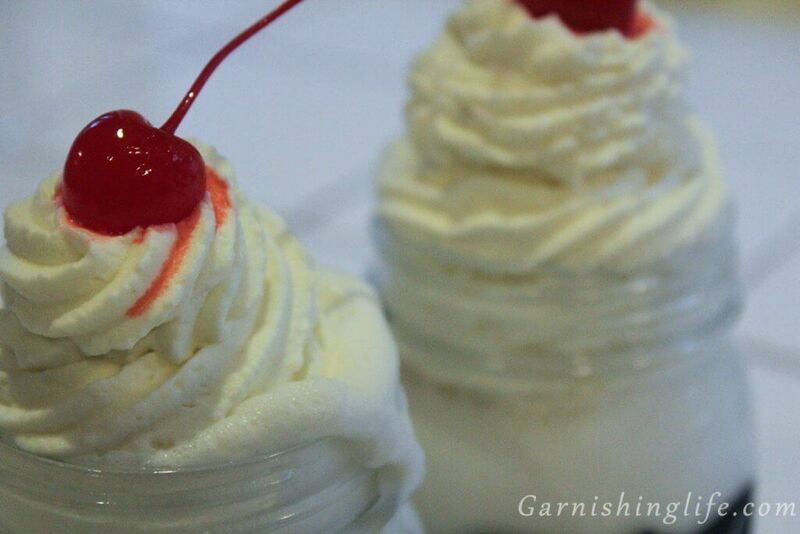 And… Garnish with a cherry on top. 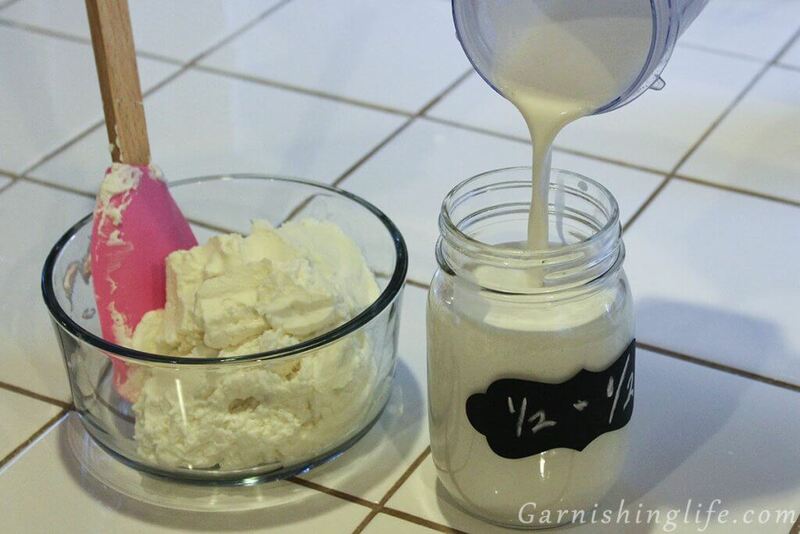 Stir together milk, whipping cream, vanilla, and salt. Scoop vanilla ice cream into the bullet or blender. 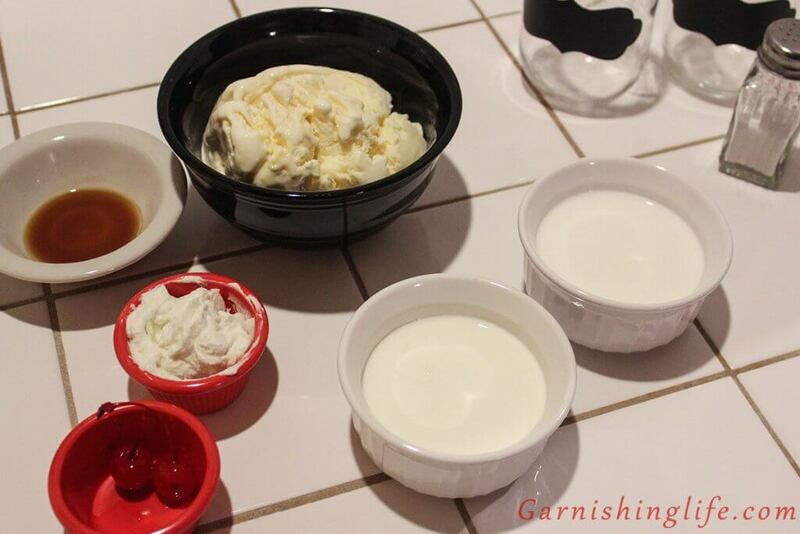 Pour cream over ice cream. This flavor can be very rich. If you would like to dial it down a bit, try 1 cup of half & half instead of the milk & cream combo. 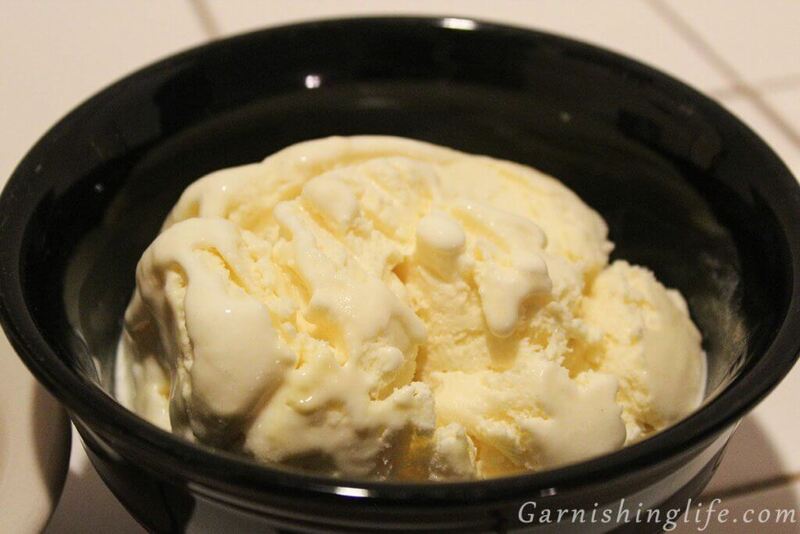 I prefer Vanilla Bean, it has the most flavor - but this is great with French Vanilla or Classic Vanilla Ice Creams as well. Add a splash of orange juice for a creamsicle shake!